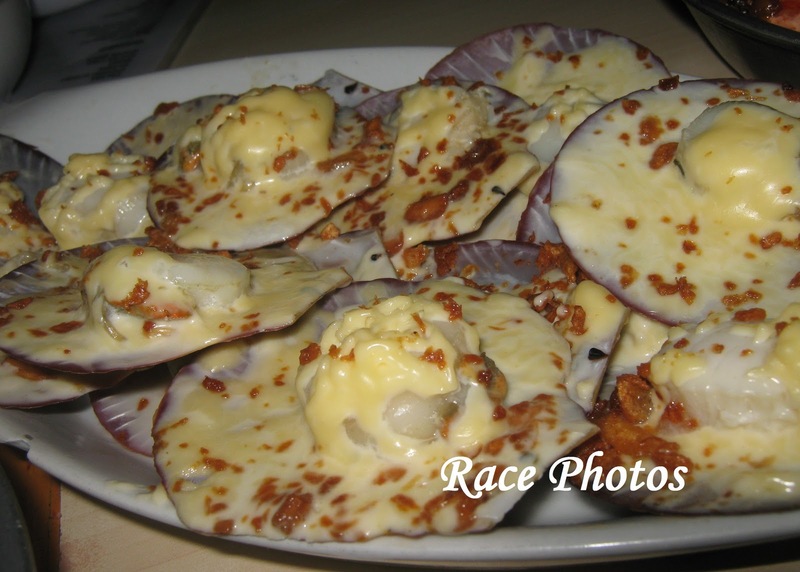 This is one of my favorite foods from the various sea foods menu we had at Aling Tonyang's Restaurant in Seaside Macapagal beside Mall of Asia. My college friends and I had a blast not in eating but in chatting. The food was super yummy but we were so busy catching up with each other that we ate only one-fourth of the food. This is what I'm missing now - the Scallop cooked in garlic and cheese and some other spices I guess. I almost missed the name 'coz I'm not so familiar with all kinds of sea foods. My friend Oda from Malabon and Elen whose living now in Canada did all the choosing and buying at the seafood market there. Hmm they're too expensive for me though you'll really love the foods, fresh and juicy products from the sea lol! that's a lot of cheese... i want to try it too! I have tasted scallops but they were itty bitty piceces. I sure hope to eat it still in shell - great presentation!